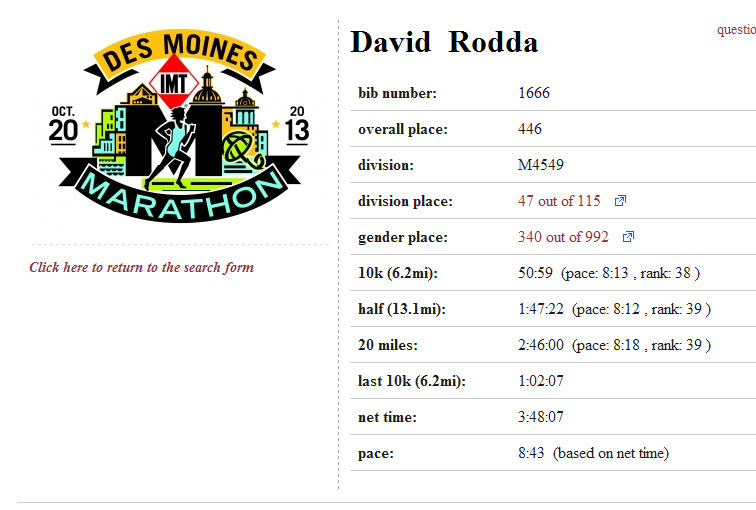 Pre-Race rest day today: IMT Des Moines Marathon is tomorrow. As I sit at my computer today thinking about what I am about to do tomorrow I find myself looking back at all I have done in the last 7 months? It’s kind of surreal to think back to the day I bought the first pair of running shoes to start training for the Dam to Dam 20k race back in March. That was exactly 7 months to the day from tomorrow. 214 days that I have had so many amazing things happen in my life. Tomorrow I will find myself standing with many other crazy runners getting ready to start a 26.2 mile journey into the unknown. The Marathon will be my 11th race in 5 months since I decided to get off the couch and see if this old man still had anything left in the tank. I have lost 50 pounds logged countless miles on both the bike and on foot. I have swum miles upon miles in both the lake and pools. On March 22nd I went out for my first run and could not run a full lap on the track. My knees hurt and my body ached just trying to run ¼ mile. I went home that day thinking I would never be able to run a mile. Boy was I wrong! The Message I hope people get when they read this is not of me talking about all I have done but rather of me talking about what I could have missed this summer if I had not been inspired by a friend to get out of my comfort zone and push past the artificial boundaries we place on ourselves. If I can do this, then who can’t? It all starts with the decision to take the first step. Get out and do something and live life like it was meant to be lived! Start your journey today to find yourself and become the person you were meant to be! What do you have to lose? Nobody gets out of here alive anyhow so why not live today to the fullest? PS. 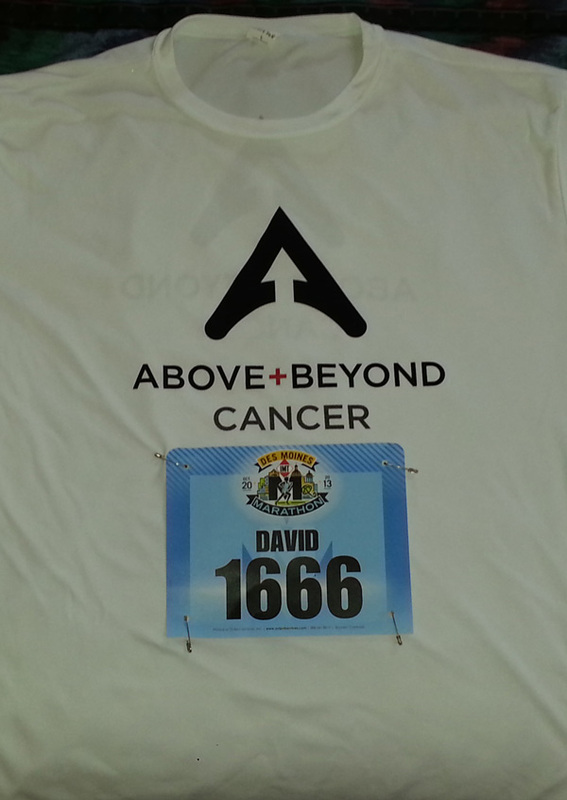 If you are at the race look for me wearing my new Above and Beyond Cancer shirt. This will be my first race of many that I will support them in their fight to show that their is so much life still to live after Cancer has touched your life! Look for my new post explaining more about this awesome group and how I plan to raise money for them during this amazing journey to Ironman Wisconsin 2014.